The TREX rover. Credit: UTIAS ASRL. 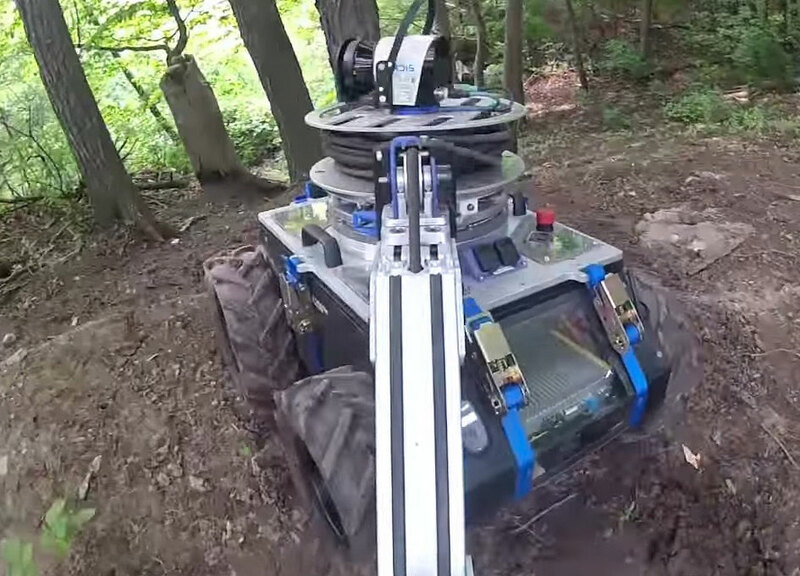 The University of Toronto recently hosted the 2015 Field and Service Robotics conference. The conference held very two years brings together researchers and engineers from around the world to discuss robotics. This years event included keynotes from Chris Urmson, Director of Google X Self-driving Cars program and Waterloo’s Ryan Gariepy of Clearpath Robotics. For the hosts, the University of Toronto Autonomous Space Robotics Lab (ASRL), it was an opportunity to showcase a new robotic platform called TREX which stands for Tethered Robotic Explorer. The new platform is “used for multiple research topics such as tethered control, constrained navigation, 3D mapping and structure inspections,” according to the ASRL. The Best Paper as selected by the conference committee was submitted by Queens University titled Admittance Control for Robotic Loading: Underground Field Trials with an LHD (PDF). All the papers are available for download from the conference website.